Ezpeleta Fully Automatic Black Folding Zipped Sleeve Umbrella. Auto-Open & Auto-Close. 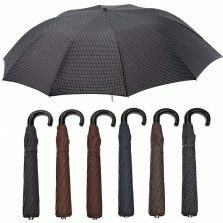 Very smart, stylish 3 section telescopic umbrella, suitable for both men and women. Smooth black handle with elasticated cord wrist strap. Quality zipped protective sleeve. 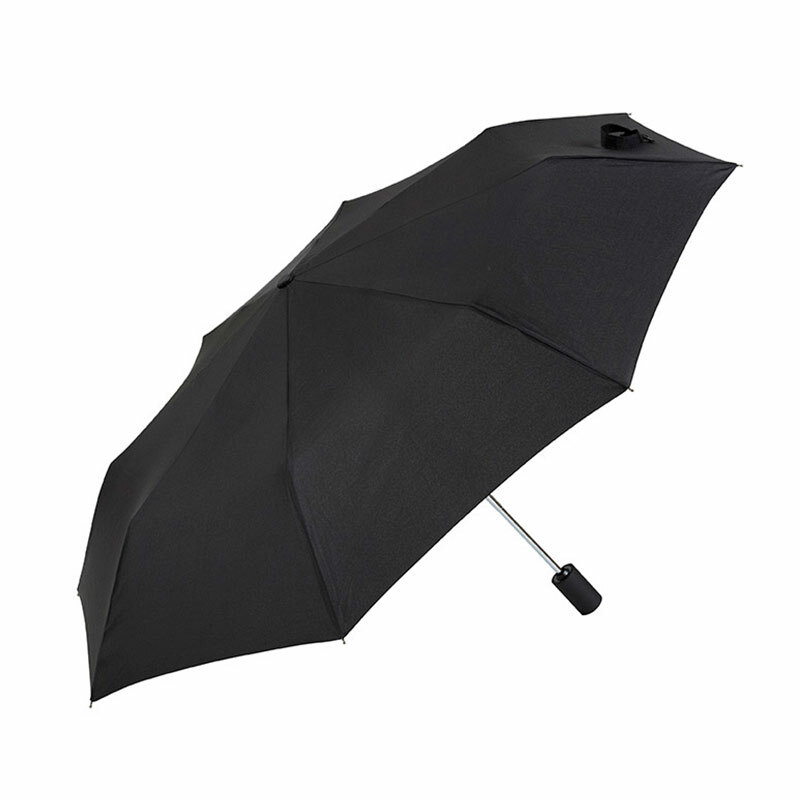 Introducing our Ezpeleta Fully Automatic Black Folding Zipped Sleeve Umbrella. Suitable for both ladies and gentlemen. 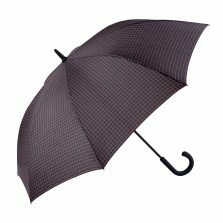 If you’re really just after a plain black auto-open / auto-close umbrella but quality is essential then this has to be a strong contender. There are automatic umbrellas and there are fully automatic umbrellas. Fully automatic simply means that as well as opening at the push of a button the canopy also closes if you push the button a second time. This can be a useful feature when your hands are full, though you’ll still need to compress the shaft to “re-load” ready for next time. 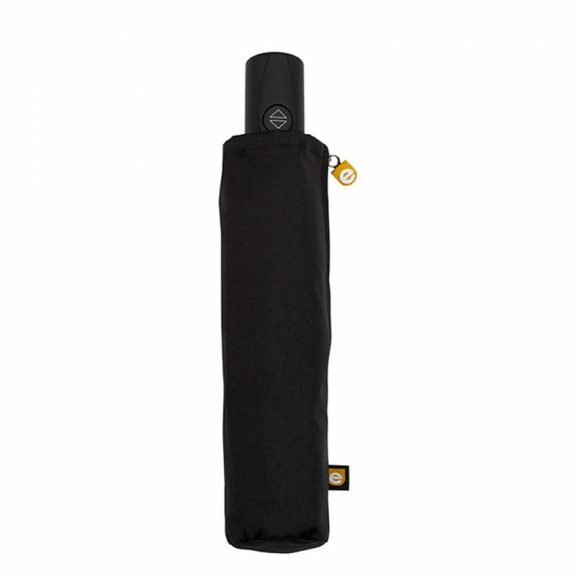 This Ezpeleta fully automatic black folding zipped sleeve umbrella has a nice quality frame. The frame is a hybrid design with chromed steel for rigidity and strength. But also fibreglass spokes for enhanced flexibility in the wind. 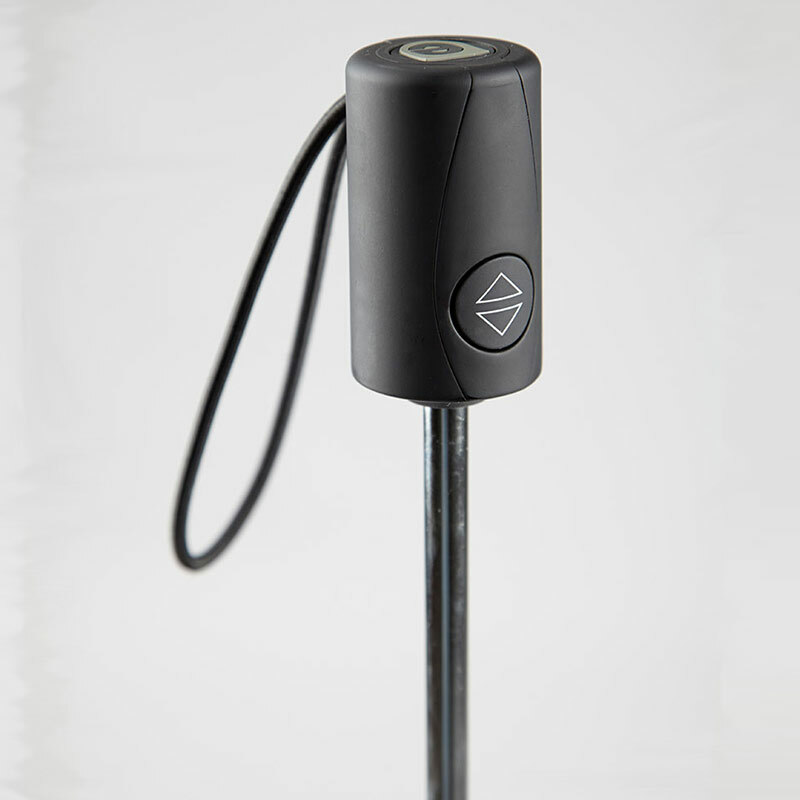 What’s more, it has a 3 section telescopic chromed shaft. When closed it’s about 30 cm (11.5″) long. When open, around 61 cm (24″) long. 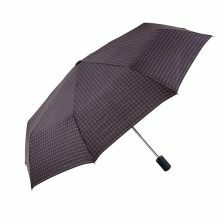 For a folding telescopic umbrella, the canopy span is a good size at around 102 cm (40″). As the name suggests, it’s supplied with a matching black zipped sleeve. With it’s rubber “e” (Ezpeleta) designer branded zip toggle the task of getting your umbrella back into it’s sleeve when folded is easier than most. Finally, the silk black handle is that tiny bit longer than others making it easy and comfortable to hold. The handle has a decal at the end with a subtle “e” for Ezpeleta. It also has a strong matching black elasticated cord wrist strap. 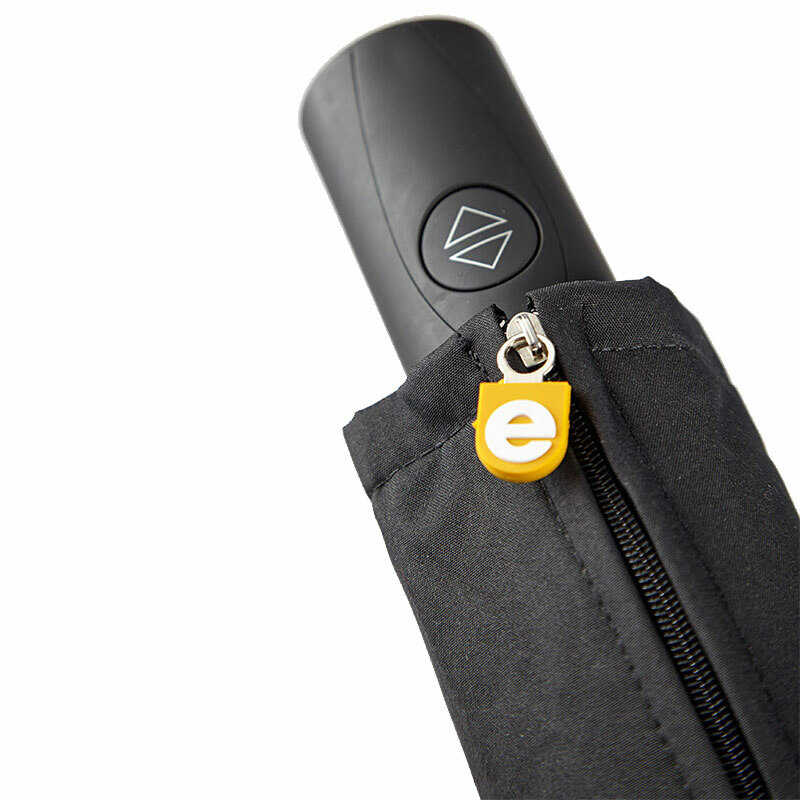 Very useful for hanging up this seriously smart Ezpeleta fully automatic black folding zipped sleeve umbrella when not in use. 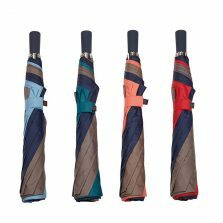 Click to see more Gents folding umbrellas!